MP44 (Sturmgewehr 44), Germany. Caliber 8x33mm Kurz- From the collections of Armémuseum (Swedish Army Museum), Stockholm. An assault rifle has to meet a certain set of criteria. It must be select-fire and use an intermediate cartridge. In this video we explain what our favorites are, factoring in accuracy, controllability, and of course how easy it is to shoot. TFB TV has left out the AK because a select fire AK is not controllable nor user-friendly, even to an experienced shooter. This is a myth perpetuated by Hollywood and whoever else, but they are just brutal to run. fter several years of rejecting the idea of a new automatic or semi-automatic weapon, Hitler asked his top commanders on the Eastern Front what they needed – and their answer was that they needed this type of firearm. 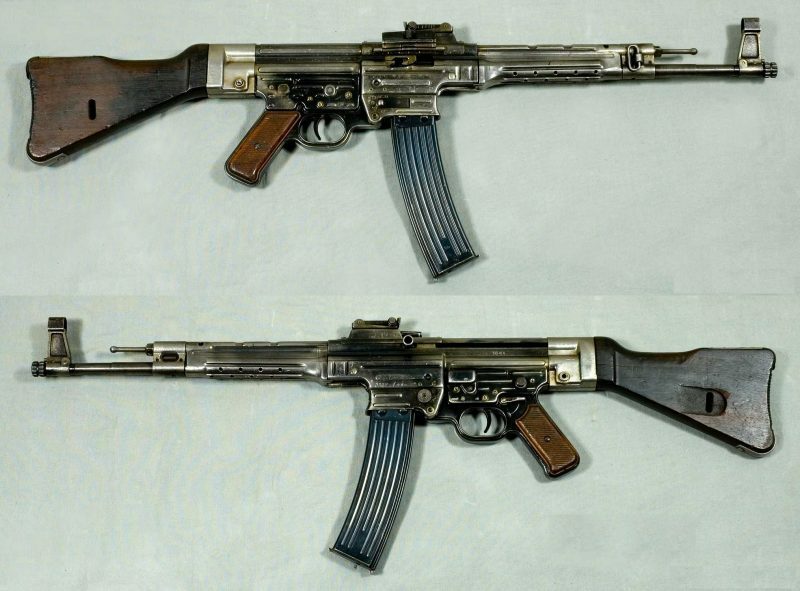 So the Germans developed the Sturmgewehr 44, better known as the StG 44, in the early 1940s and began mass production in 1944. In one of their final attempts to turn the tide of the War back to their favor, the Wehrmacht mass-produced over 425,000 StG 44s. The Sturmgewehr or storm rifle (assault rifle) in English, was the first custom made and a mass-produced assault rifle. This rifle drastically changed warfare forever, although that change didn’t come in time for the German Wehrmacht. 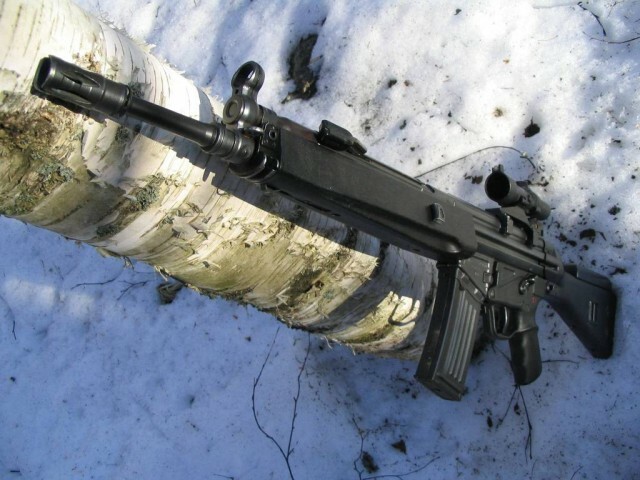 The HK33 assault rifle has been developed by the West German gun manufacturer Heckler & Koch GmbH. Building on the success of the G3 design, a family of small arms was developed that all operated on the G3 principle and basic design concept but all chambered for a different round. The HK33 were quickly adopted by the armed forces of Thailand, the Brazilian Air Force and the armed forces of Malaysia, all were able to produce the rifle locally under a license agreement. In the 1990s Heckler & Koch designed the G36 assault rifle designed to replace the G3 battle rifle and in 1995 the Bundeswehr took it into service. The feeds from a 100-round C-Mag drum magazine or a 30-round detachable box magazine. A cool feature of this gun is that you do not need tools to strip and reassemble the G36, cross-pins that are akin to the those used on earlier HK designs can be used.